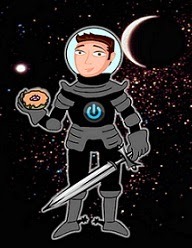 David Powers King: Salt Lake Comic Con Recap, The Mysteries of Cove's Epic Launch Party, and Self Publishing Progress! Salt Lake Comic Con Recap, The Mysteries of Cove's Epic Launch Party, and Self Publishing Progress! Before I start on what was a most excellent weekend at SLCC, there's an epic book launch happening this week (tomorrow, actually) for J. Scott Savage and his new book, Mysteries of Cove: Fires of Invention. 7 PM at Mountain View High School, Oct 1st. There will be a live show of local authors and other awesomeness, and it's FREE! I'll be there. Comic Con. Where do I even start? This was the biggest convention I've attended yet. Records were broken left and right, including the world's record for most comic book costumes. Each of my panels went well. My favorite moment? Singing the Mystery Science Theater 3000's opening theme with my fellow MST3K panelists. Meeting many of my author friends and absorbing their sage advice was a most welcome plus, too. 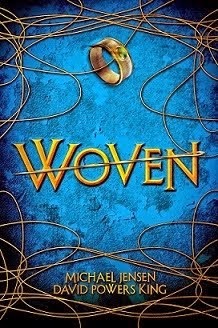 Here's some cool news: I'm told that Woven sold out at the book store! Over all, this was an exhausting experience in the best possible way. Btw, I finally took pictures. Wanna see? Critique Partner Lindzee Armstrong boothing it up! Peggy Eddleman and Jennifer Jenkins at their signing! Jennifer Nielsen at her signing. Michael Jensen (and some guy's) Woven signing! Cinderella was first in line! Yes, we had a line. Awesome turnout! This guy ate my banana! Someone's hunting the Evil Dead! Commando Spider-Man should be a thing. Spaceballs? There goes the planet! Keeping our distance from that possessed painting. A full sized LEGO Thor - awesome! Belle fleeing from the Iron Monger. Johnny Worthen, Utah Writer of the Year! Legend of Zelda is the stuff of Legend! I'd like to thank everyone who attended and made this Con possible. At long last my area has a comic con that it can be proud of. And it should. I don't know the final numbers yet, but I hear it's rivaling San Diego in numbers. I'm already having withdrawals. That means I'll look forward to the next one with great interest. Until next year! 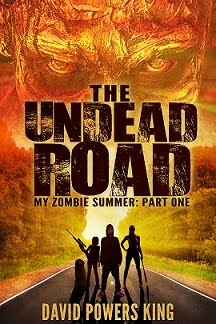 How's the self-pub zombie book coming? Better than I first imagined, actually. Still waiting on edits but the cover is close to finishing up, and it's a cover I'm proud of. Not sure when the reveal will be, but I'll be sure to let you know. A late January release in 2016 is happening. It's been an adventure finding the balance between what to self-pub and what to submit traditionally. I'll get more into that in next week's IWSG post. Until then, keep writing like there's no tomorrow. Who's excited for the Mysteries of Cove? Which costume was your favorite? 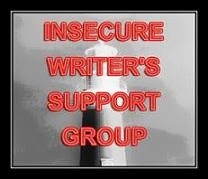 If you're part of IWSG, what's your topic for next week? I'm David, and "I don't say blaah blah blaaah!" Comic Con looked awesome! That's so great Woven sold out at the bookstore! One of these days I'll go to Comic Con because it looks amazing :) Can't wait to see the zombie cover! That looks like a lot of fun! Spaceballs is still relevant. That's funny. Glad the zombie book is coming together! Woot! What a blast. That's a Con I'd love to hit one day. Ah, one fine day. I love the giant Minion! I've attended a ton of book conventions, including Book Expo, but never one genre specific like a comic book convention. They look like a lot more fun. Oh man, I LOVE raptor-riding dude! I just went to Dragon Con in ATL at the beginning of the month (more on my side of the country). It was a blast. There were about 70k people at that one. What's the average at Comic Con? I know what you mean about self pub vs. traditional. I have some going both ways as well, one series self, and my agent is seeking traditional for another. I'll pop back over for your ISWG post. There was a Comic Con in Baltimore this past weekend while I was at the Book Festival in Inner Harbor. Watching all the amazing costumes of people passing by is the closest I've ever come to attending a Con. (Sob.) But my husband and I are now psyched to try and attend one soon. You signing books and Lego Thor were my fav photos! Cool! Wondered if there were any Elfquest folks there. Didn't see any in the photos... Still working on my topic for IWSG next week, yikes! Sold out is great news! And those are cool pics, although I don't know who that guy with Michael is ;). The fun is in seeking out friends and exploring the unknown. the original Iron man looks deadly, they all do. I was just asking my hubs if he would go to ones of these and was showing him the pics. He said it looked like fun! So glad you had a great time, and hope all continues to go well as you write more and more! Wow, looks amazing. I can hardly imagine the time put in to some of those costumes. Glad you had a great turnout! Thanks for sharing the adventure ~ it looked like it was a good time...Glad your book is doing so well. Looks like a great event. These pictures are wonderful. Glad it went well. Wow, that must have been fun. My Utah family would have loved it and I kind of wonder if they were there. Congrats on selling out on Woven! Looks like you easily had a fantastic time !! I've always wanted to attend a comic con but have never. I think it's a really cool event. I'm a lifer at the San Diego Comic Con. Such a celebration of creativity where we nerds get the love we deserve. Congrats on a great Con. Great pictures DPK, although my favorite-istest is the full sized Lego Thor and his 'friends'. Can't wait for the January release and love that you finally have a cover. YAY!! Hugs.